Okay.....I'm not going to lie about the Morro Bay Aquarium. It is dated, not very clean, smelly and depressing. There is a reason why it costs so little to get in, it should cost nothing. Actually, it shouldn't even be there! 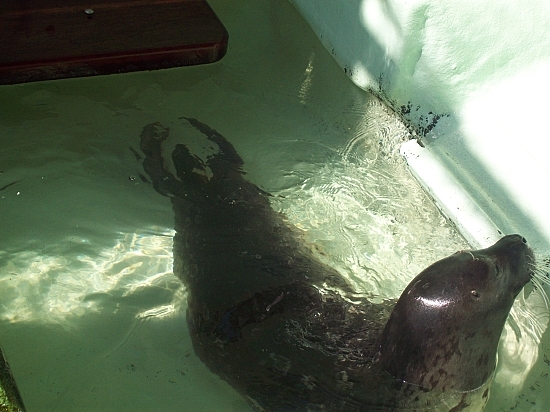 There were three sea lions and a harbor seal there when I visited. They claim to be rescued and rehabilitated. It didn't seem that way to me. They are confined to live in what amounted to extra large bathtubs or small jacuzzis. They bark like crazy because they want you to feed them, which you can with a bag of cut up fish for fifty cents. Looking into their soulful pleading eyes just made me want to put them back in the wild. They seemed so anxious and depressed. If they have been rehabilitated, then why not let them go? Or take them somewhere where they can be observed but are able to swim at least. I just don't feel that this is a desirable environment for animals or fish. They deserve better. Apparently this place has been here for many years and has not changed a bit. Its such a shame. The fish in the tanks looked just as sad as the sea lions. The tanks had potential to be really neat had they been maintained properly or refurbished a bit. They are outdated with dirty film on the glass. It was built in 1960 and is family-owned by Dean and Bertha Tyler. It became a rehabilitation center for distressed mammals in 1984. I will never go back here again unless something has been done to the conditions of the tanks. It is going to take a while for me to get over this one. This is my personal opinion of the Morro Bay Aquarium, you might go and see it differently, I don't know, but I will not spend another 2 dollars to support it. 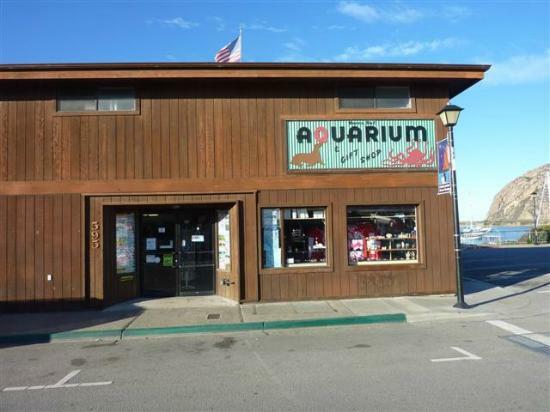 What did you think about the Morro Bay Aquarium?